Hot desks: Fully-equipped workstations each with a PC and high-speed internet connection. Perfect for start up companies with small operational requirements. Commercial office space: Core and shell office space in varying sizes. Leasable Land Area Land available for various activities in dedicated zones such as manufacturing units, R&D facilities, training centres, warehousing facilities, headquarter buildings, etc. Education: Academic / research institutions focusing on Biotechnology and Pharmaceutical Sciences. DuBiotech is one of many Free Zones created in Dubai over the past decade. Companies operating from DuBiotech enjoy the same business benefits, which have been instrumental in the success of hundreds of companies that have established business operations in Dubai. 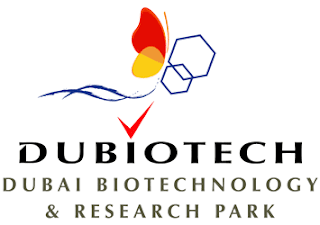 Companies operating from DuBiotech enjoy a one-stop-shop service experience, to facilitate ease of entry into the region and incorporation within this diverse and rapidly developing market, in addition to specific benefits that relate to the biotech industry.